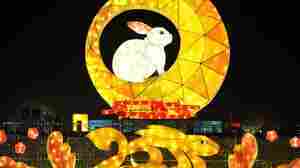 A 'Hoppy' New Year For Hong Kong Stocks? January 31, 2011  A Hong Kong-based brokerage has been trying to use traditional Chinese beliefs in its economic forecast as the Year of the Tiger gives way to the Year of the Golden Rabbit on Thursday. It prediction: volatility ahead for Hong Kong markets. 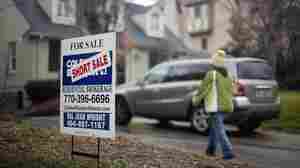 January 31, 2011  The fight over mortgage giants Fannie Mae and Freddie Mac is part of a larger debate about the appropriate role for government in supporting the U.S. housing market. That market is still fragile and heavily dependent on the government-run giants for new home loans. January 31, 2011  The Lord giveth and the bank taketh away — at least, that is what a lot of churches have found recently. Lenders foreclosed on about 100 churches last year, an enormous increase from just a few years ago. It suggests even doing God's work does not always keep the creditors away. January 30, 2011  Host Liane Hansen talks with law professor David Skeel about a proposal that would allow states to declare bankruptcy as a way to handle overwhelming debt. January 30, 2011  Many states are facing budget shortfalls this year, but California is facing the largest one at more than $25 billion. From member station KQED, John Myers reports on the various proposed cuts, aimed at bridging the California budget gap. January 30, 2011  In Georgia, more across-the-board state budget cuts are coming. Overall budget cuts are not as big as in previous years, but some suggest there is a kind of "budget fatigue" because Georgia has continued to cut for several years. How Will New York's Cuomo Cut $10 Billion? January 30, 2011  When Andrew Cuomo was sworn in as New York governor this month, he signed up to deal with a record-breaking budget problem. 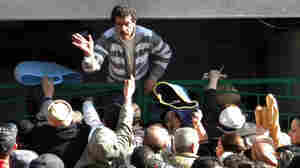 January 30, 2011  Political unrest has broken out in Tunisia, Yemen, Egypt and other Arab countries. Social media and governmental policies are getting most of the credit for spurring the turmoil, but there's another factor at play. January 29, 2011  Host Scott Simon interviews Eric Spiegel, chief executive officer of Siemens Corporation, the U.S. arm of the German engineering giant Siemens A.G., about the impact of high corporate taxes and the Obama administration's plans for corporate tax reform. January 28, 2011  Ford Motor Co. earned $6.6 billion in 2010 — its highest profit in a decade. Still, the company is not out of the woods. It's stock price dropped 13 percent on Friday, it's trying to climb out of debt, and it could face tough union negotiations just as it's trying to secure a foothold in the Chinese car market. January 28, 2011  The economy has grown for six straight quarters, though the expansion has not been strong enough to bring unemployment down substantially. What Does Dow 12,000 Mean For The Economy? January 28, 2011  Stocks on Wall Street have been moving steadily upward lately. The Dow Jones Industrial Average has been trading up above 12,000 — though it closed just below that Thursday. The market hasn't been at this level since before the financial crisis. 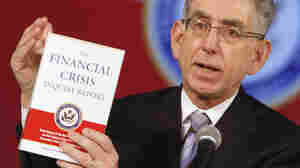 January 28, 2011  The Financial Crisis Inquiry Commission's competing reports differ more in style than in substance.